JeffQ posted a message on (Solved) Increase cast time dynamically? I solved it. The reason is because I didn't set player 2 in Map > Player Properties to Computer Controlled -_-. Hmm.. the reason I needed this is because of bullies and buildings that are not initially created but placed on the level itself. However when a neutral or enemy player stands on top of the building (which is not constructed), the AI can't build it even with ignore placement on. I guess you are right, I might have to play around with footprints or create an effect that push units away before building. When an ally or own unit is in the way of a building placement, the units will automatically move out. Is this possible for enemy units? Is there a data field for this for me to customize? I can't seem to find any. Hi, is this a known issue? What I did was created a start campaign AI for player 2 under actions and it gives me an error during runtime. I see, time to convert all doodads to units ]: Thanks for the reply! I have been searching for this for quite a while, most answers are to create a doodad with an actor. 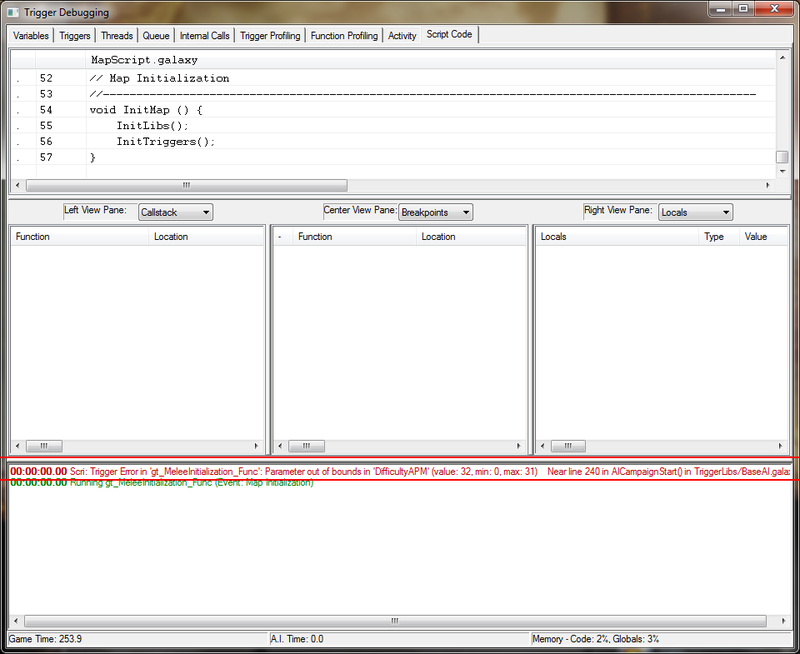 However creating a doodad dynamically with create actor or create model doesn't give me collision. However placing the doodad on the ground with the doodad editor gives me collision. How do I enable the collision or footprint after creating so that units can't walk through? Thanks for the reply. That is unfortunate, I guess trigger is the way to go. Can't find the rep button! Is there a way to increase cast time dynamically like with a buff or anything else? I can't seem to find anything that modify an ability cast time on run time. Is it possible to cast an ability when a unit is right clicked without using "gather ability" because i need it to show progress bar? If it is possible, what is the best possible way to do it?